Medium - $803.99 Large - $803.99 Only 4 left! 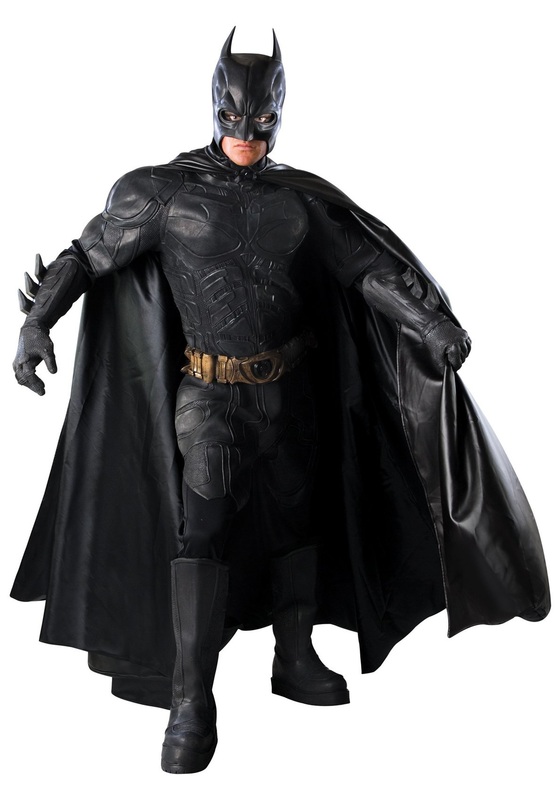 Bruce Wayne used to fight crime wearing a black ski-mask and some mountain climbing gear he had lying around. All it took was a few mishaps around Gotham City for him to realize that he needed a better way to fight crime--not only something that could withstand the strains of combat with thugs, but something that would strike terror into the hearts of criminals all throughout the city. The Batsuit was born. We're just glad that this Dark Knight decided to do something other than a set of flashy spandex, like some other heroes do. Batman went with black full body armor, which we have to say, is much better looking than that whole underwear-on-the-outside look (we're looking at you Superman). 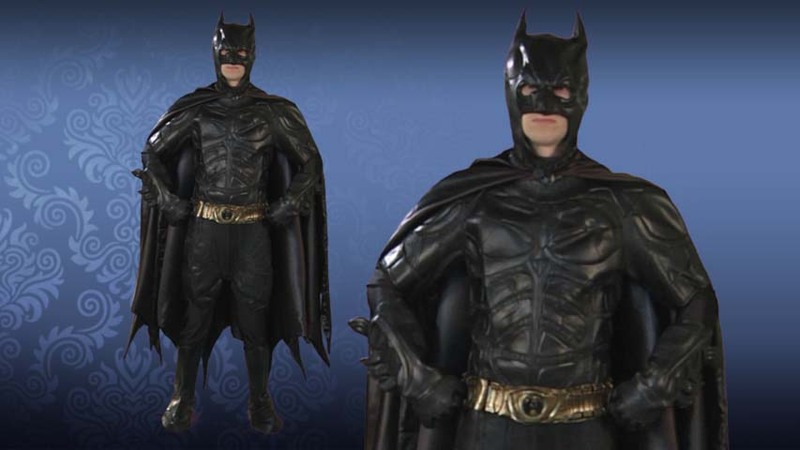 This costume replicates the look seen in the Christopher Nolan Dark Knight movies, so you can fight crime in something other than a ski-mask that makes you look like one of the criminals you're trying to stop, and spandex, which makes you look like you're off to do some jazzercising at the gym.